How the heck is it Friday already?? Seriously, this week zoomed by. It’s been kind of a blur to be honest with you. After coming back from our little trip in Waco I’ve been feeling so inspired and motivated to do-all-the-things-right-now. I have ideas out the wazoo–like writing and launching an e-book, starting online design services, creating a weekly newsletter full of tips and tricks, etc etc. I was actually starting to feel a bit overwhelmed with everything I wanted to get done and I had to stop and remind myself to just slow down and breathe. Does that ever happen to you? It’s like your mind goes crazy thinking of all the things you could or should be doing and then you suddenly feel like a huge slacker. I do that a lot actually. But the truth is this blog has become my passion and I could easily spend 10 hours a day working on it–I absolutely love it. I just have to remind myself this is a one-woman show and I can’t do it all. I have a family and little people to take care of, which will always be my first priority. And as much as I’d love to put my 241 ideas into action right now, there just aren’t enough hours in the day to do it all. And that’s ok. I’ll keep doing my thing and plugging along, taking one thing at a time. You know what they say, slow and steady wins the race. Right?? I hope so. Anyway, that’s enough rambling. Let’s get on with today’s post, which is all about 5 awesome things I am loving right now! I’ve had this diffuser from Amazon for about a year now. I used it occasionally, but over the past few months I’ve become really interested in using more non-toxic products in our home like essential oils and other natural alternatives. Since then I’ve been using this guy every day. My favorite oil to diffuse is lavender, it’s just so calming and refreshing. But I also love using it with grapefruit oil (helps ward off illness), sweet orange (improves mood & energy) and peppermint (helps with congestion). 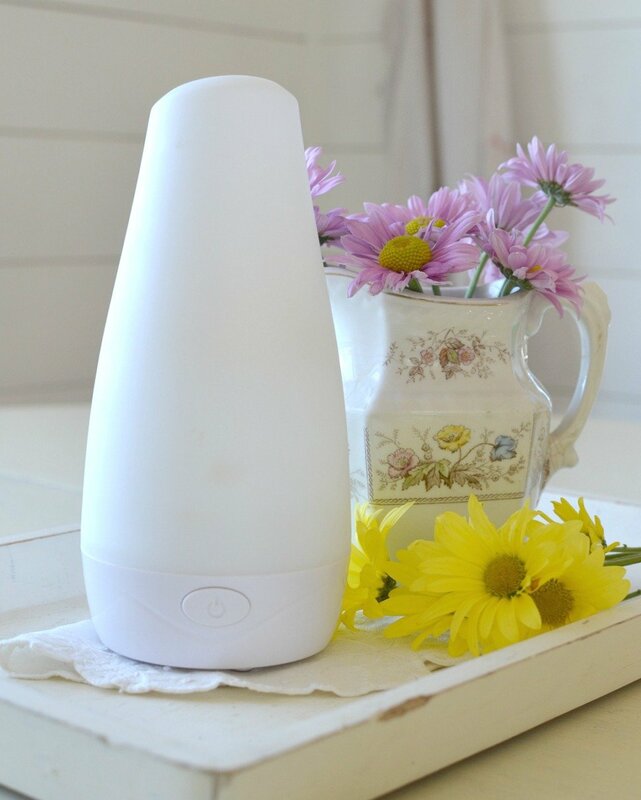 There are sooooo many health benefits to using a diffuser–I’d say it’s probably my favorite way to use essential oil. 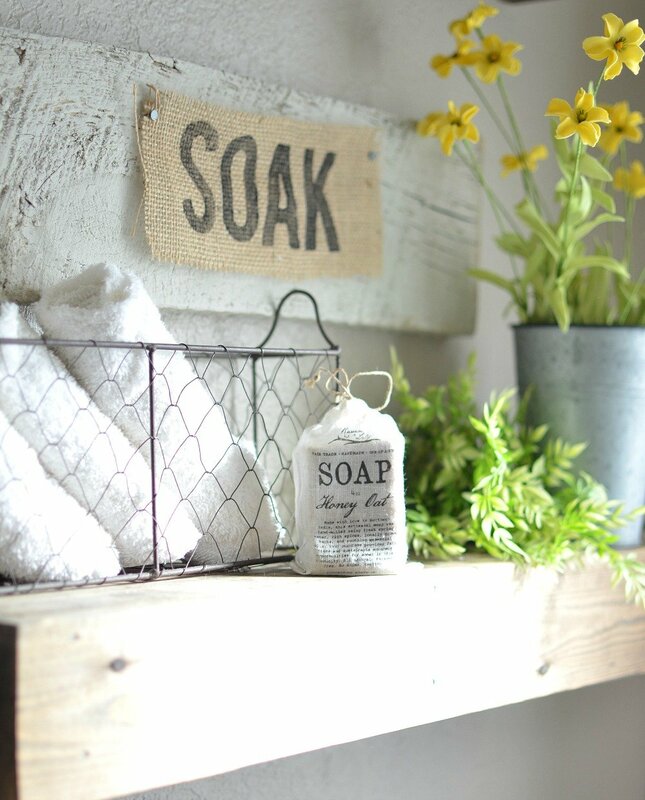 Plus I think it’s especially perfect for springtime when I’m craving a clean and fresh house. During out trip to Magnolia Market I discovered the most amazing handmilled soap from Raven + Lily. I bought the honey and oatmeal scent and it’s ammmmmaazzzzing. This little bar makes the entire room smell like heaven. After getting it home and realizing how awesome it was, I did a quick Google search to find more. That’s when I discovered that Raven + Lily is an incredible company that works to alleviate poverty among women in economically-challenged countries like Pakistan, India, and Ethiopia. They employ over 1,500 marginalized women at fair trade wages to give them access to safe jobs, sustainable income, health care, and education. They’re doing amazing work. One thing I haven’t mentioned here on the blog is my passion for empowering women in developing nations. That passion actually took me to Uganda in 2009 with the amazing organization One City Ministries, which was an experience that completely changed my outlook on life. After that I worked with several nonprofit organizations that empower women around the world, such as She’s the First and Project Education South Sudan. So the mission of Raven + Lily is very near and dear to my heart. And this soap is the bomb.com. I’m a sucker for big bags, especially a good weekender bag. I picked this one up from Target before our trip to Waco last weekend and it worked perfectly for my in-flight carry on. Plus it has plenty of space and compartments for all kinds of fun goodies–big and small. 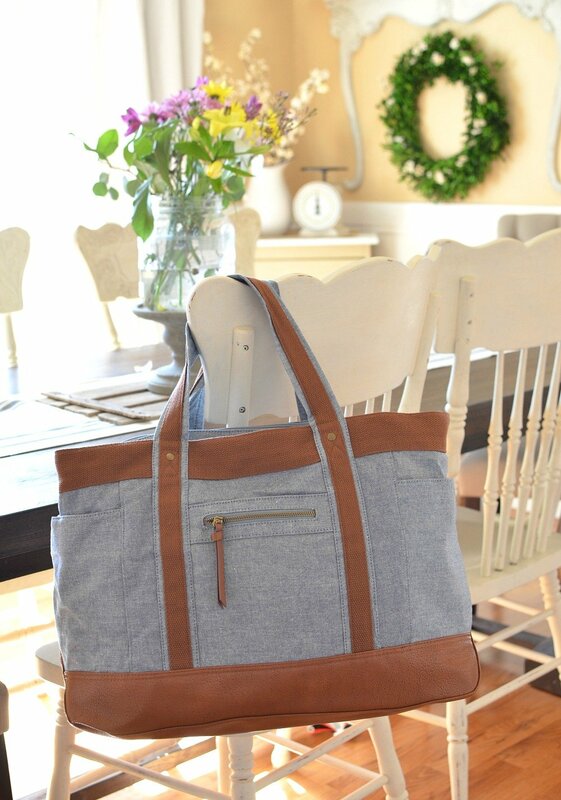 I think it’s the perfect bag for trips to the pool this summer and weekend getaways. 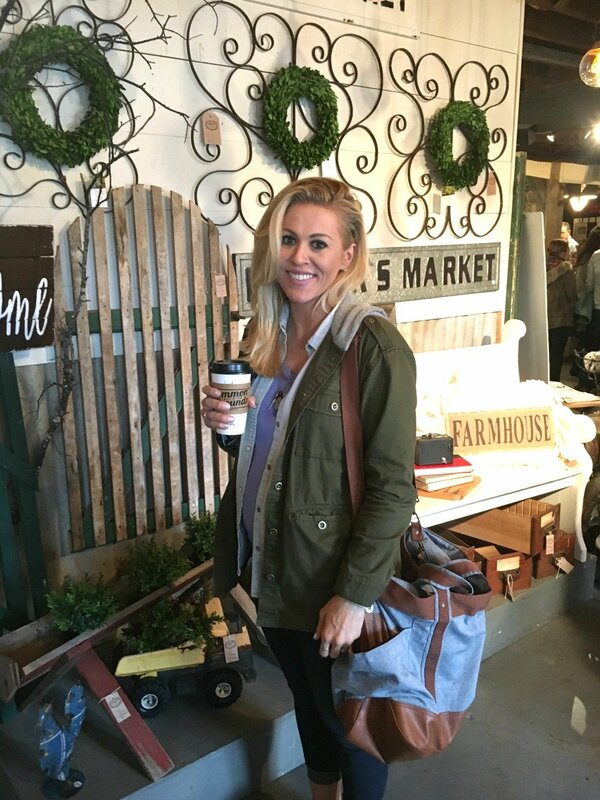 Just a happy pregnant lady, shopping away at an antique store in Waco with my weekender bag. You guys, I have a confession. 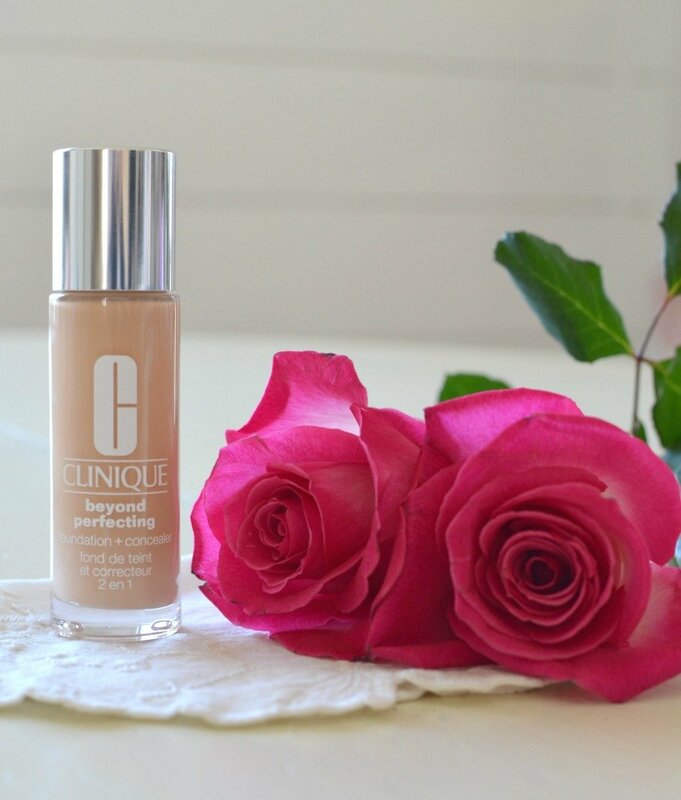 I’m a bit of a foundation junkie–it’s by far my favorite makeup product. I finally tried this Clinique Beyond Perfecting Foundation + Concealer after hearing so many good things about it and I have to say–it is awesome. Definitely one of the best foundations I’ve ever used. Not only does it last all day, but the coverage is amazing and it doesn’t get greasy. Plus it doesn’t break me out, which is a ginormous bonus in my book. I think I’ll be sticking with this one for a while. Say howdy to my new favorite pillow! How cute is this?! 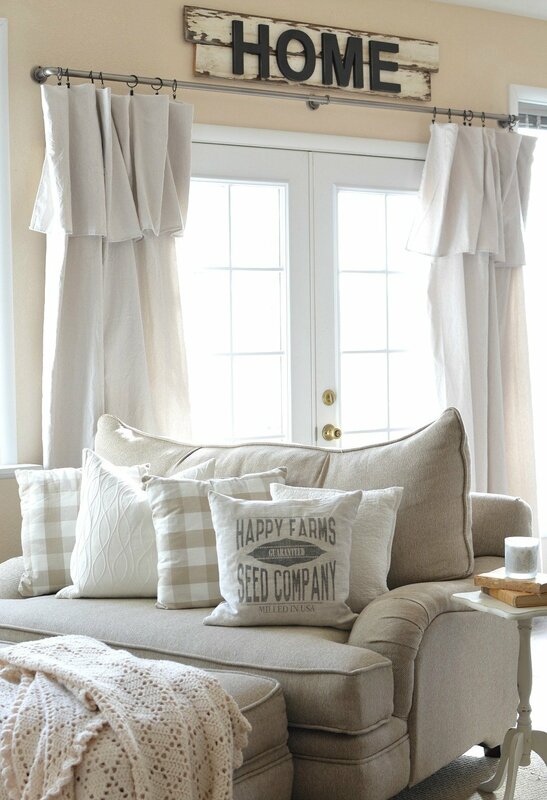 I absolutely love the “happy farms” slogan and it’s the perfect addition to my out-of-control-pillow-obsession. I tell ya, a girl can never have too many cute pillows. This one is really well made and it’s from the CoverLove on Etsy, which is run by the sweetest gal, Courtney. She has a ton of adorable farmhouse style options, but she also makes custom pillows. And she gives 15% off with the code INSTAGRAMLOVE. Score! Well that’s all for me today peeps. I hope you enjoyed this post–I think it’s a fun way to share more about myself and some of the random things I’m loving at the moment. And I’m thinking maybe something like this should become a regular thing around here. Let me know what you think! Before I go, I want to take a minute to thank you all for your support. Really, I feel like the luckiest girl in the world to do what I love and have such incredible people reading my blog. I never take it for granted and I just hope you know how much I appreciate each and every one of you. The encouragement and kindness you give me on a daily basis is more than I could have ever imagined. This blogging world can be tough at times, so it truly means so much to have you in my corner. I just feel so insanely blessed by all. Thank you, thank you, thank you. Have a fabulous weekend my sweet friends!! Thank you Sarah for being such an inspiration to me. . Love your blog. . , keep doing what you are doing!!! Will do! Thank you so much Joan. Light bulb moment here! Just realized I am totally addicted to you and your blog. I am not a coffee drinker however I need a “nest fix” every morning. I am off to Target find my bag. haha! You crack me up Jana. I think a “nest fix” is the perfect way to start your morning!! 🙂 thank you so much for all the support. Your an inspiration….the handbag gave me the nudge to go and buy the bag I have been eyeing for a while….I always ask myself how bad do I really need that? Enjoyed your Friday favorites…….. I look forward to reading your blog, it’s like sunshine on a rainy day! I love, love, love that pillow. I’m definitely going to get one. Keep doing what you’re doing! Have a great day. Isn’t it such a cute pillow, Sharon? You will love it. And thank you for such sweet words about my blog–I need to hug you! I’m so jealous! I’ve been wanting to get to Magnolia but cannot find the time…and I live only about 2 1/2 hours away! Sad sad. Happy weekend! Oh Cindy, you really must go. It’s so worth it and I promise you’ll leave inspired. Girls trip!? I love to start my day with your blogs and a lovely coffee in my favorite mug! Keep it up, you’re wonderful! Love this post! You’re awesome! Keep it up! Loved your post today, Sarah! Thanks for sharing some of your favs! 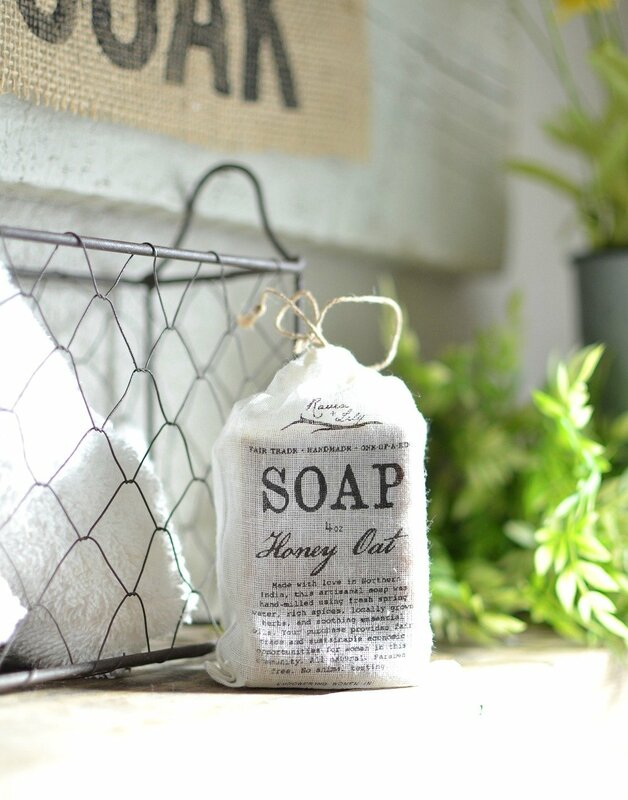 I’m definitely going to check out the Raven + Lily soaps and the CoverLove pillows. The pillows are just what I’ve been looking for and been unable to find in my area. I noticed the HOME sign in the picture. Would you mind if I ‘copied’ and made one for myself? Also thanks for sharing the Magnolia Farms Waco trip! I just added it to my ever growing bucket list! Been a fan of their HGTV show since the beginning. I’m not only in your corner….I’m your biggest fan. Love all your posts. haha you’re the best, Nancy. Thank you so much!! Love your blog. You are very honest and your Magnolia post was just that. Oh my gosh I would love for you to do an on line decorating service. Sometimes I have trouble deciding what needs to be done in s room!! Love the fact that this was just a random “favorites post.” Like the other readers I look forward to reading your blog every day ….It really is so fun and fresh. Hi Sarah, fun post today and super relatable to me right now when it comes to having a crazy amount of things and ideas going on in your head!…. and finding the time to get them accomplished. I starting to build my pile of DIY stuff, and beginning to freak out as to when I will ever get to it on top of everything else like laundry, and getting ready to move. I see you’ve got a thing for foundations I just wanted to throw an awesome one out there that I love and use for myself and work doing weddings next time your in the market. Its purchasable online since your in Colorado. Its called buffing foundation by Cosmakery. Its super light but lasts all day. I love your cute new pillow and weekender bag…. target is just one of my fav places. Love your blog! Love your decorating! Thanks for sharing your ideas too. I’ve been getting ready to host a party and needed some spring ideas. You did not fail to come through for me. Where did you get your lovely furniture like the chair in this post? Thank you! Hello Sarah just run across your blog. Love it just wanted to ask where did you get those curtains they are just what I have been looking for for my craft room…. Sarah…I’m not really into reading blogs, but somehow I ran across yours and there’s something about it that is refreshing and inspiring to me. I love farmhouses, decorating and creating. I also have 4 small children, 5 and under. 🙂 You have shown me that it’s possible to somehow blend all of the above. Also, in this blog of your 5 favorite things, you showed your handbag hanging from a white wooden dining chair….did you happen to paint those yourself? I have a set of chairs exactly like that, and I’m considering painting them cream. Any advice? Aw thank you Valerie, I really appreciate that! And I’m glad you asked about those chairs. I did paint them–it was one of the first tutorials I shared here on the blog. You can check it out here: https://sarahjoyblog.com/friday-flip-farmhouse-chairs/. I’d recommend using chalk paint if you’re looking for a vintage/distressed look! That will be the fastest. Otherwise stick wth regular paint. Love this post and your blog ! And your style! I have to ask where did you find that big over sized chair or lovesest?? It looks so comfy and inviting ! Where did you get your curtains of you don’t mind me asking? Where’d you get the curtains?? You had wonderful taste in house decor! Oh my gosh! I just ran across your blog and I absolutely love your style. And that oversized chair is calling my name. Looking forward to reading more! Hello Sara , I am in love with that big chair you have in the pic with the pillow .. Where did u get it ? Hi there! This is a great post and I love the little touches you’ve highlighted. But I ADORE THE LOVESEAT/Oversized chair pictured. Can you share the details about that? Thanks! Hi Sarah! I am new to your blog and absolutely love it! 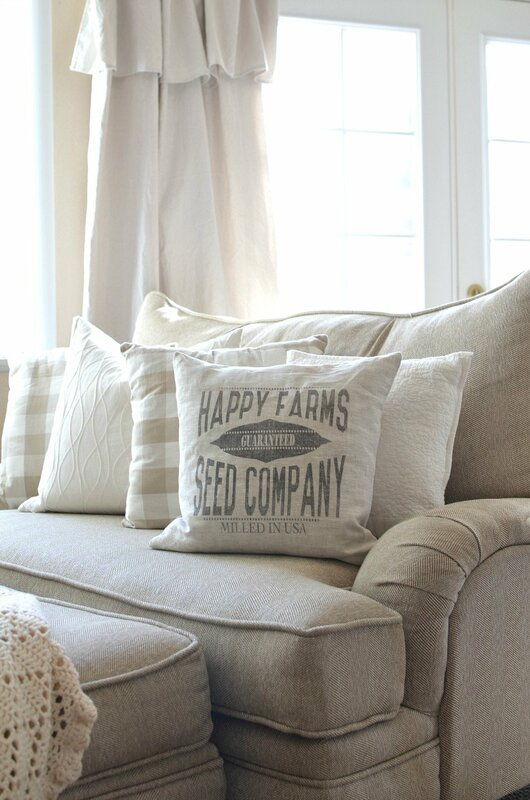 I am wondering where you got your oversized chair from with the happy farms seed company pillow on it! I have been looking EVERYWHERE for a chair like that for my living room!